A strange thing happened the other night. As I was driving along the lane that leads to our house, I saw a mouse. That in itself isn’t strange. We have a large mouse population in the neighbouring hedgerows and woods. Just ask the chuffin cat – she’s on first name terms with a whole variety of local rodents. This mouse was different. It wasn’t scuttling along the dirt track or bouncing through the shrubbery. 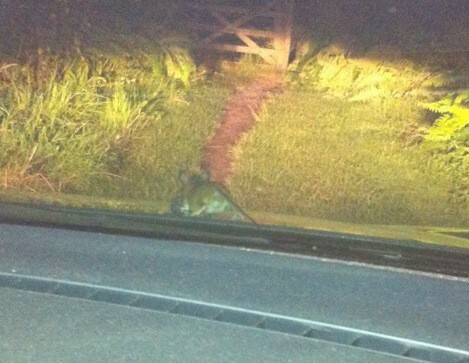 No, this mouse was poncing about on my car bonnet. That’s right, on my car bonnet. How very absurd. I continued to drive slowly down the lane, one eye on the hedgerow, one eye on the mouse, an eyebrow raised in disbelief. The mouse seemed to be having a splendid time cavorting up and down across the bonnet. Every so often he turned and put both front paws on the windscreen, like an open invitation to play pat-a-cake. Then the ultimate insult: he turned round and stuck his rear end in the air towards the windscreen. Not only that, but his body jigged up and down as the car jostled along the bumpy track. Yes, that’s right – the mouse was brazenly twerking on my car bonnet! Most uncouth for a rodent of any standing in the community. Bizarrely enough, I was actually playing a Robin Thicke song in the car at the time too. Pulling up outside our house, I grabbed my phone and took a photo. As you do with a twerking mouse. 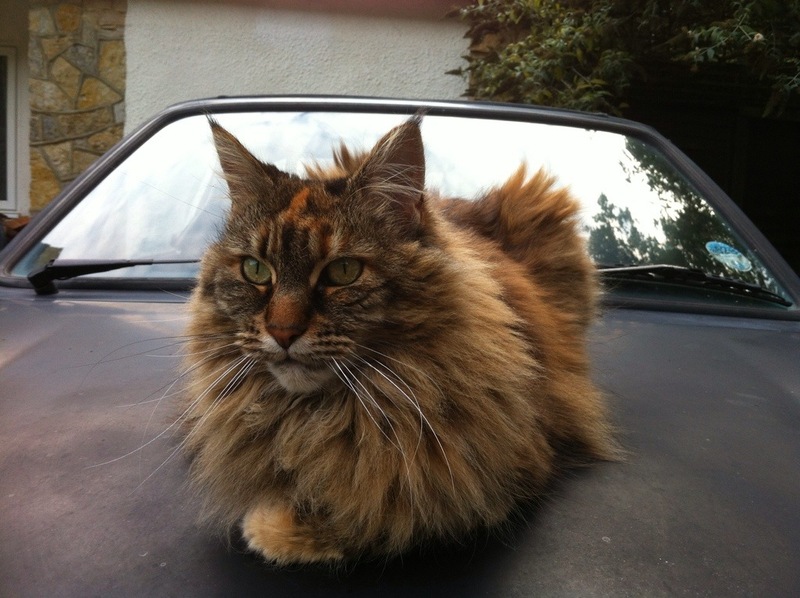 Quite satisfied with its achievements, the romping rodent then disappeared underneath the car bonnet. I went indoors and told the rest of the family about my experience. Having assured them that I hadn’t been eating magic mushrooms, we all laughed at the photo and promptly forgot about the whole episode. Until a week later when exactly the same thing happened again – yes, driving along the lane, Robin Thicke started playing in the car and up popped the twerking mouse on the bonnet again! Now as far as I’m concerned, one appearance is an isolated visit; two appearances make it a residency. I wondered if I should track down the mouse to try and extract some rental income. Let’s face it, he wouldn’t be difficult to find – just look for the mouse with the muscular fingers (from clinging onto the bonnet) and pert buttocks (that amount of twerking must be great for toning!). A twerking mouse? On the car bonnet? How disgusting. Ill catch him and teach him to do the salsa instead. Yes, welcome to my life! It’s sad nowadays how, no matter what happens, the first thing I think of is ‘where’s my camera – this would be great for the blog’! Well I never did, no, not anything ( do not drive) , but, what an opportunity for a kids story? No, not the twerking bit, but the inside the bonnet, coming out for a ride ona moving car? Maybe, posibility, likely, imminent? Oh well !